For those who enjoyed Tomb Raider video slot machine, there is yet another game that is powered by the same developer and it is themed around the same character. 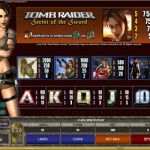 It is the sequel to the highly successful video slot, Tomb Raider. It is this game, Tomb Raider: Secret of the Sword. This adventure has a clear goal as Lara Croft is trying to unveil the Secret of the Sword and the power that it holds. You are also invited to tag along and accompany Lara Croft in an even more dangerous and a more exciting journey around the globe in order to pursue and uncover the Secret of the Sword. Much like the prequel, players can expect to be rewarded handsomely for all of their efforts and their bravery. The game offers players 5 reels of symbols with 3 rows and a total number of 30 lines. This means that it is as twice as big as the first game and that it gives its players more chances of winning. As for the symbols that land and spin across these lines and reels, they include many Tomb Raider symbols (holding 2 guns, jumping and on a motorcycle), Lara Croft’s face, a mysterious symbol, the logo of the game and poker card symbols. The face of the main character of the game, Lara Croft is also its wild symbol. The face of the Tomb Raider can substitute for any of the other normal icons that appear on the reels. This can help players become eligible to earn a reward as it helps them in forming a payable combo of symbols. This Super Mode is activated randomly and when that happens, players are going to earn a total of 5 free spins. During the free spins of the Super Mode, multiple wild positions are awarded and they stay in their positions throughout the free spins. This super mode cannot be triggered during the free spins and they can’t be triggered simultaneously. The Mysterious green symbol is a scatter symbol that has the ability to activate the free spins round. Players need to get at least three of these symbols to activate the round. 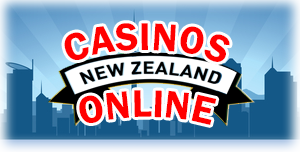 They will earn a number of free spins that come with a multiplier as well as the Rolling Reels feature. This feature can be quite rewarding as it gives players more chances of winning because whenever a winning combo is created on the reels during free spins, the matching symbols will vanish and new ones will replace them to form new combos. This bonus round can be triggered when the passport bonus symbol lands on the middle position on any of the reels. This will launch a highly rewarding bonus round in which players can earn a grand reward that can amount up to 450x their initial wager.